Two Shows in one day??? I had to come on and pay tribute a true Laker Legend! 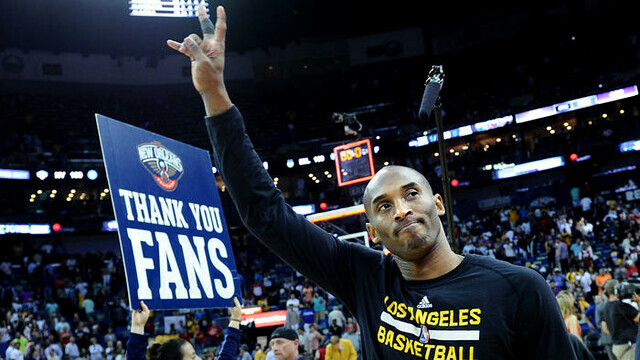 Kobe Bean Bryant called it a career last night, but not before giving us one lasting performance to remember him by. Like a lover trying to set the bar knowing this was their last opportunity. I knew this day was coming but now that its here, I can truly say that I was witness to one of the greatest to ever play the game. I am privileged by the fact that he played for the team I rooted for all my life. Whether you love him or hate him, you have to respect him. Last night just proved that.